Call Our Crew For Top-Notch Service! 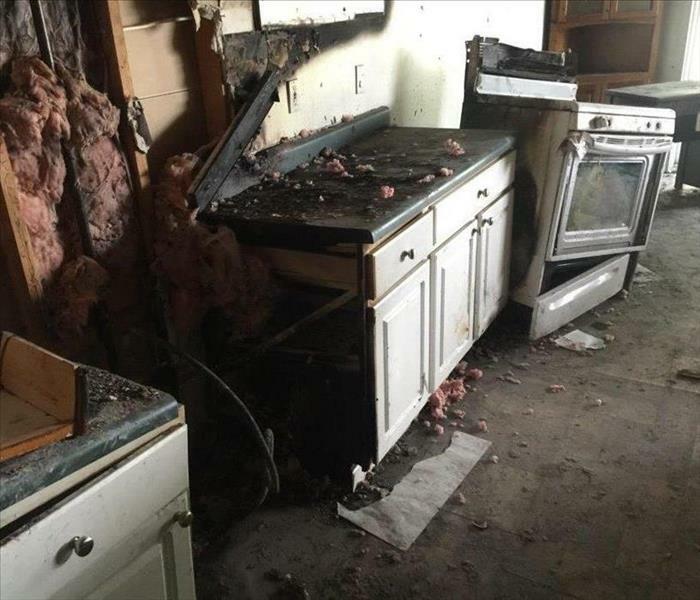 After a damage event, water, fire, mold or storm damage, SERVPRO of Porter County technicians help by taking inventory of the damaged or destroyed items to assist with the insurance claims. Contact our IICRC certified team today at (219) 476-1883 to help with a damage situation in your home or business. The telltale damage in the sheetrock ceiling panel is caused by a water leak in the attic of this Chesterton home. 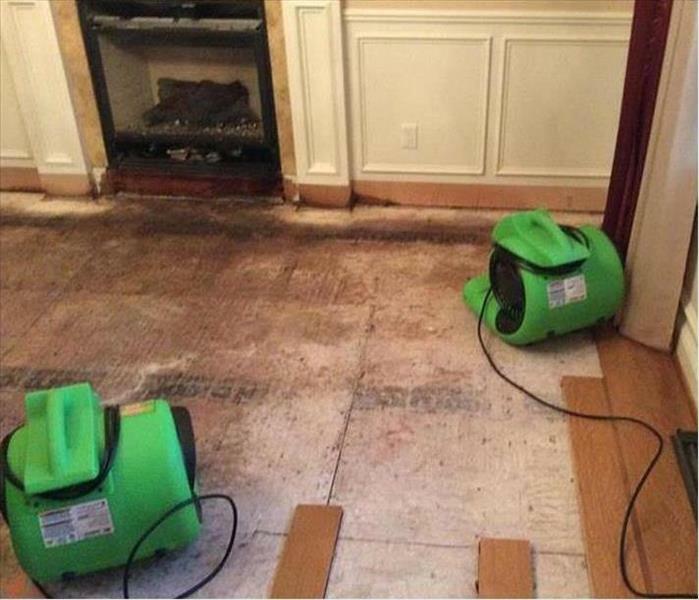 SERVPRO technicians can dry the damaged area after the leak has been fixed. No mold growth is the goal. The Photo illustrates significant mold colonization in the porous drywall panels of this Valparaiso area house. 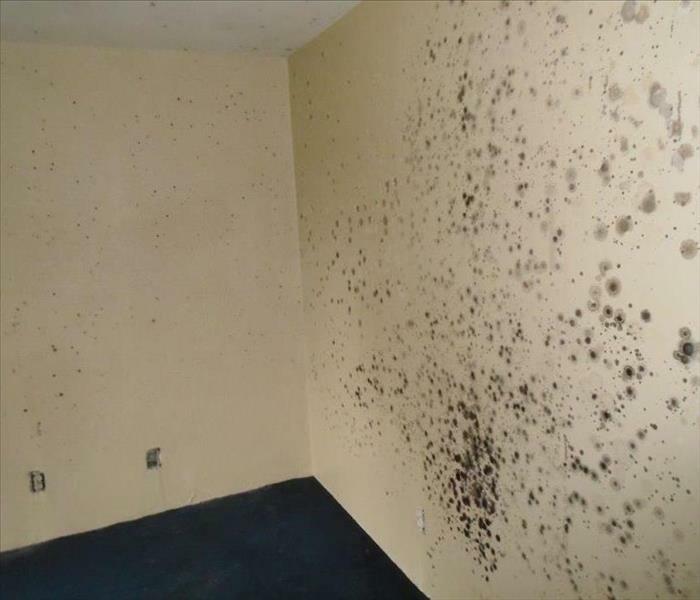 Mold spores are present everywhere in nature, and it just takes a bit of moisture for the fungi to cause damage. Only 48-72 hours are needed to see this unfortunate spotting. 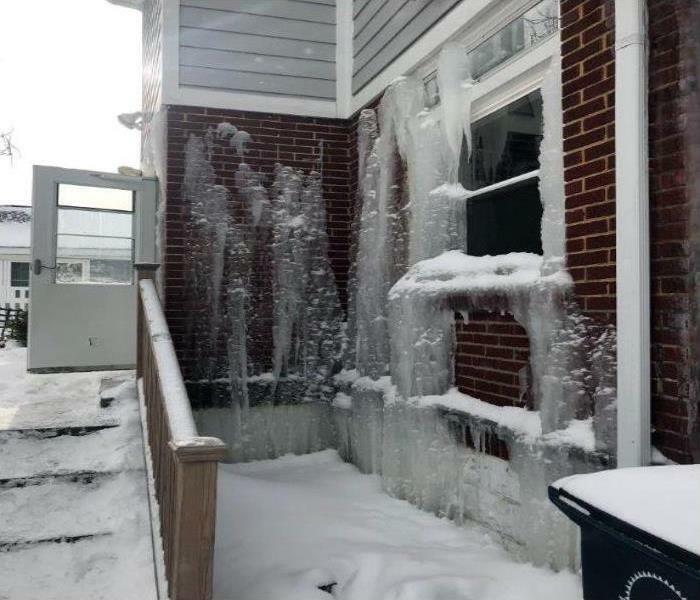 Luckily, our SERVPRO of Porter County team can contain the mold-infested area, remediate the problem, so that are happy customers feel "Like it never even happened." Our Team Can Handle Any Size Disaster In Valparaiso! One thing that is taken for granted is the quality of air that we breath in our homes and businesses. The ventilation system heats, cools and circulates air through the ductwork throughout the structure. These are commonly referred to as the lungs of the building. Many factors such as nuisance dust, pollen, pet dander, cleaning chemicals, and other daily activities can cause contamination even in the cleanest homes and businesses. The NADCA (National Air Duct Cleaning Asso.) 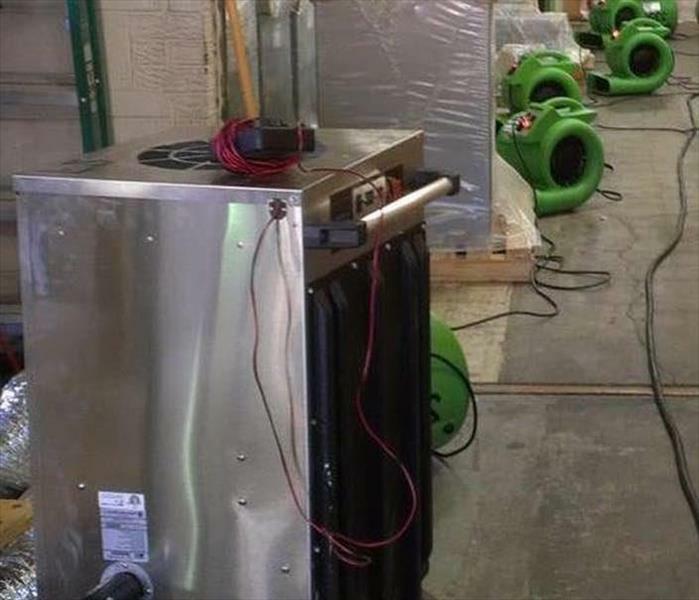 Certified Air Duct Crews of SERVPRO of Porter County have decades of experience and are highly trained to clean and remove all of the contaminates to provide the highest quality indoor air. Give our team a call and allow us to serve you in our five star fashion; the only way we know how. Our team at SERVPRO of Porter County is getting ready to handle the cold winter ahead. 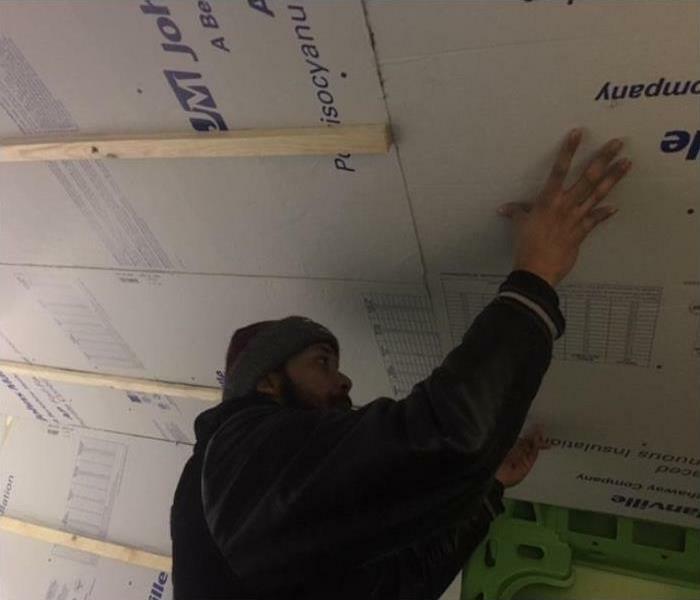 We are insulating our SERVPRO van so our experts won't freeze helping our customers. We are dedicated to helping our clients in snow or sleet. We’re Faster to Any Size Disaster! 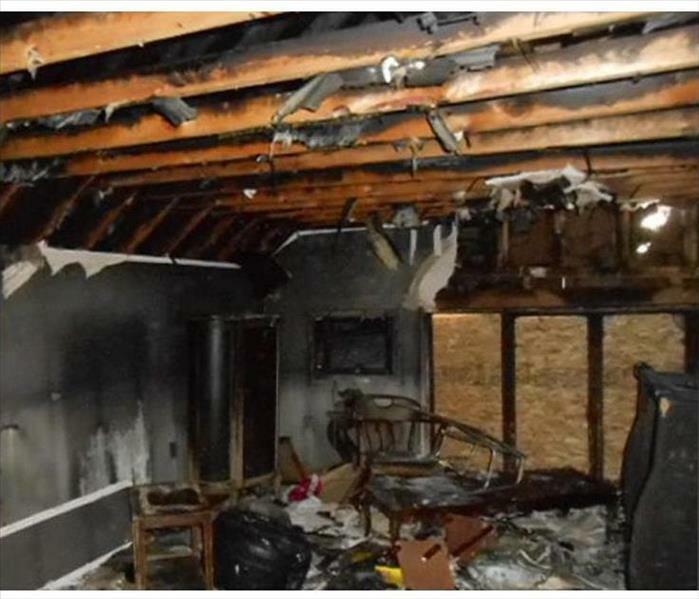 The porous surfaces of this Chesterton area house suffered a fire damaging event. The visible stains can be wiped off by SERVPRO FSRT technicians with our specially formulated cleaning products and sponges. The odors can be eliminated with a hydroxyl generator to pair with the foul-smelling airborne particulates. We can help to minimize the damage. 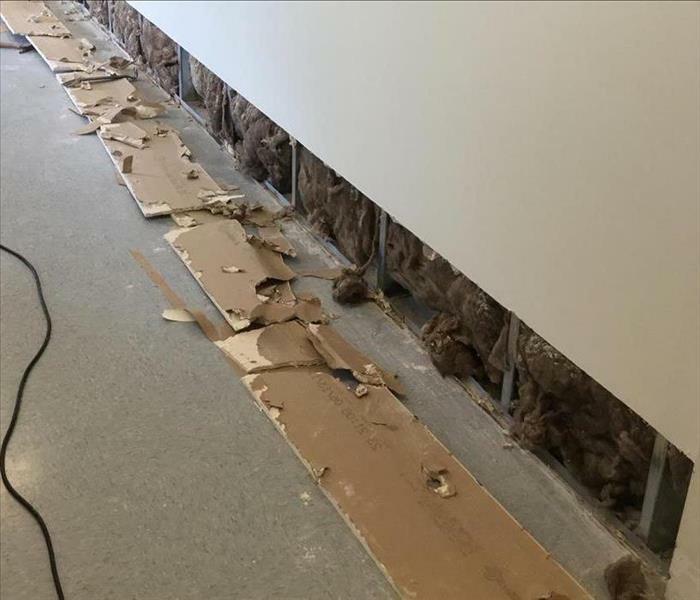 The flood cut shows how SERVPRO takes the pains and effort to minimize the deconstruction of commercial properties to limit disruptions to normal business activities. We understand that Porter area business enterprises work on small margins, as do we, so we do our best to keep their enterprise functioning. 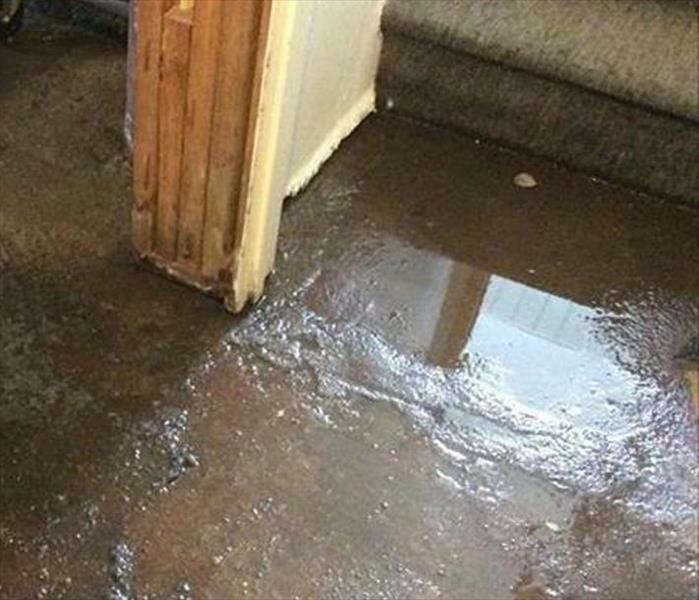 Not only can flooding damage structures and contents in the Chesterton area, but the contaminants swept in with the water can carry pathogens, foul odors, and a muddy mess. 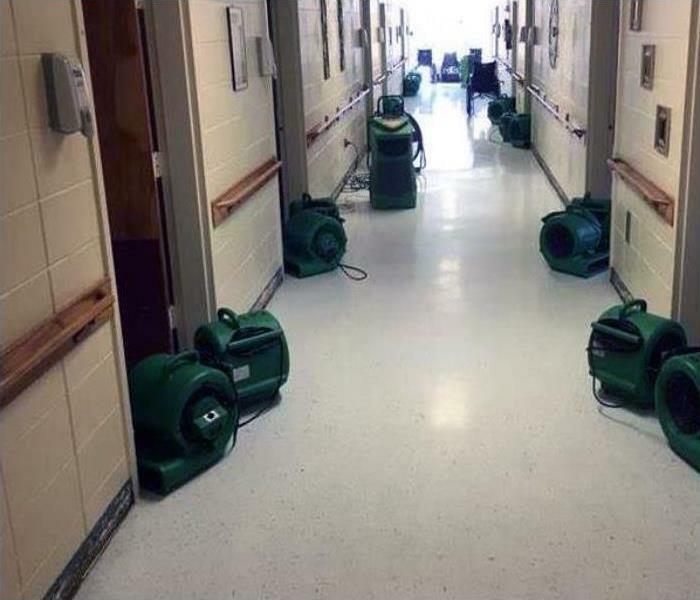 That is Why SERVPRO is the solution to this flood loss. We clean up and sanitize the area to preloss condition. 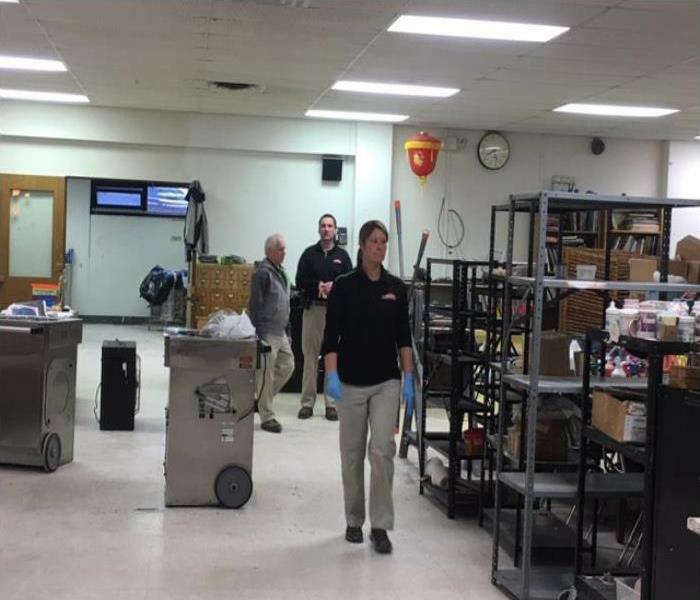 Our team has you covered when a water damage disaster occurs on your commercial property in Chesterton. The IICRC certifies us in water restoration, carpet and upholstery cleaning, and other cleaning and restoration courses. SERVPRO of Porter County has the training and equipment to restore your property to pre-damage condition. 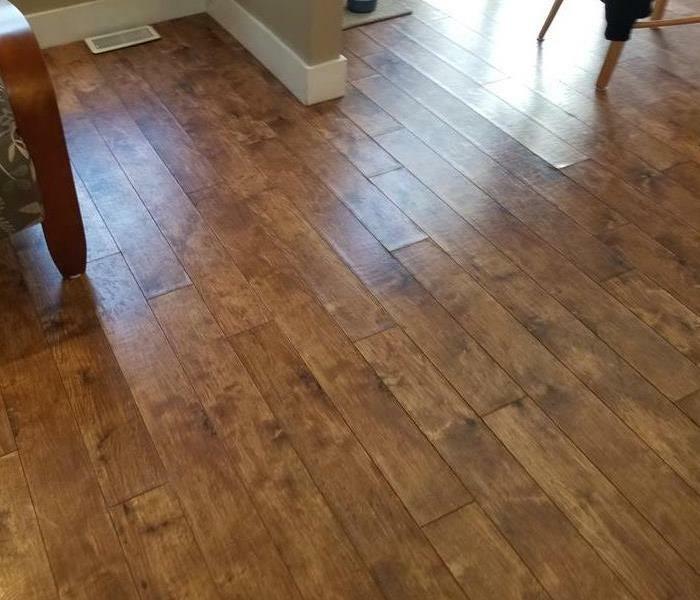 To reduce the damage caused by stormwater to your Valparaiso home's flooring, call SERVPRO to remove the water quickly. 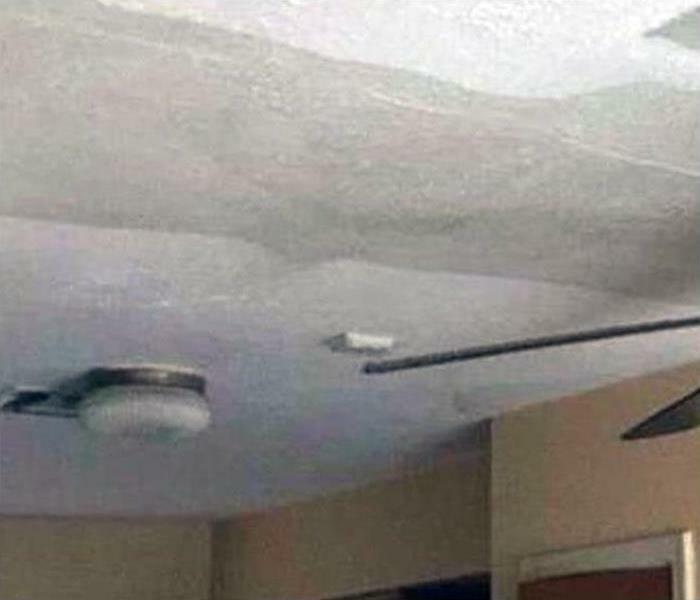 Less water means less damage. 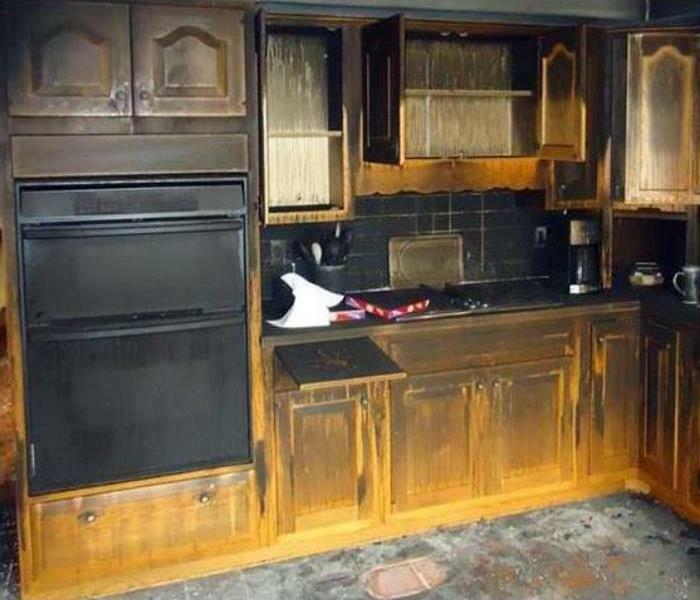 We can often salvage building elements with our rapid response. Our equipment works hard. 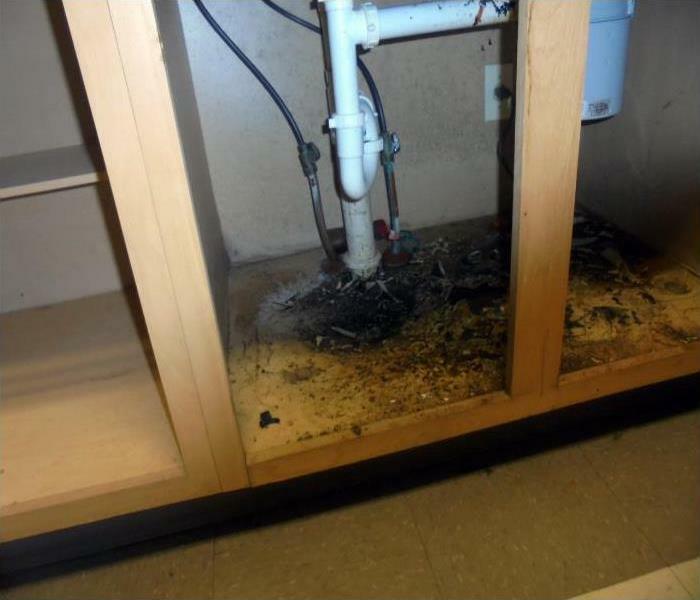 After the groundwater has been removed from an affected home in the Portage area, the goal of SERVPRO is to demolish only what is not salvageable, then dry and disinfect what is left. A flood cut serves this purpose, less to replace yet opening the wall cavities for spraying with an antimicrobial. 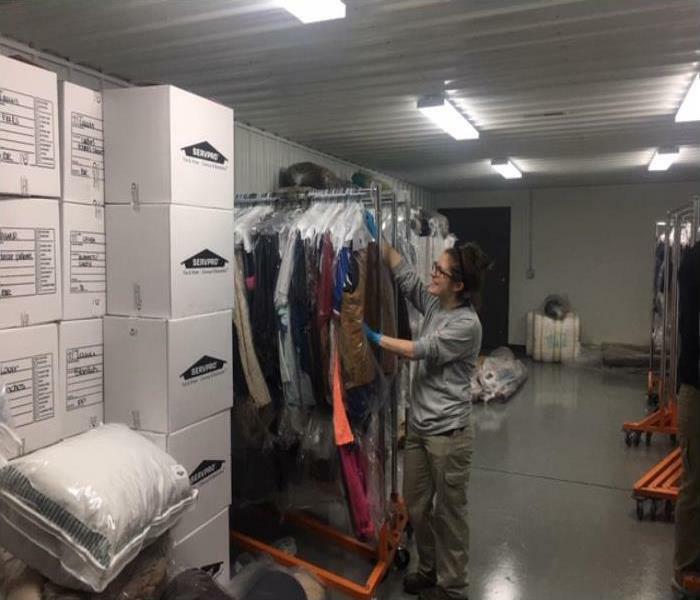 The moisture that circulates inside a large-volume warehouse can have a detrimental effect upon the inventory and equipment. 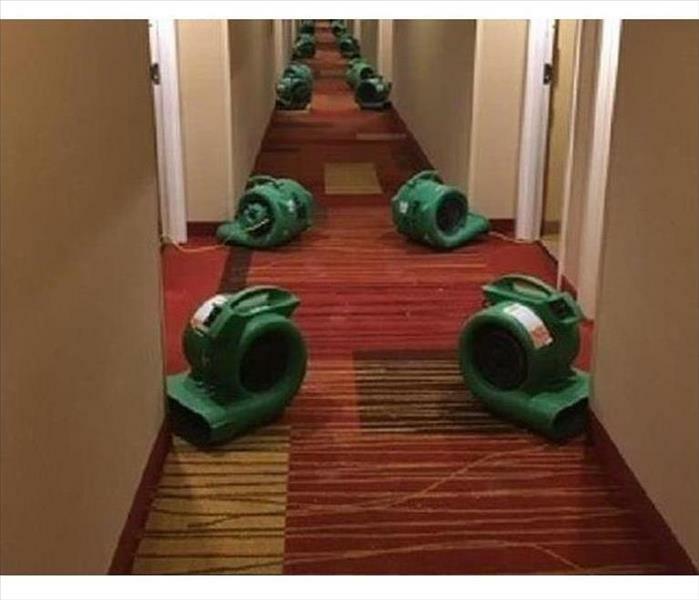 SERVPRO can respond rapidly to a water loss in the Valparaiso area within hours to mitigate the losses and protect the stored materials from secondary water damage. Plenty of equipment can be placed to speed up the drying process. 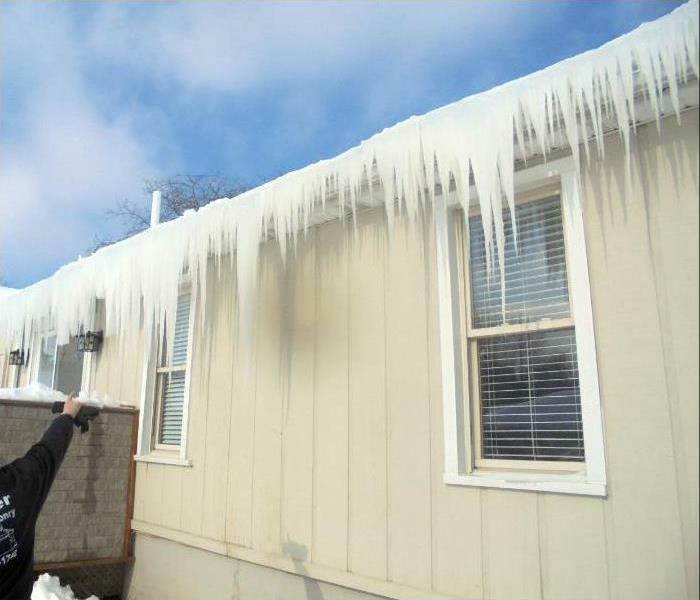 You can count on SERVPRO when a storm has damaged your home. We have the training and equipment to handle any size disaster. SERVPRO of Porter County is ready 24/7, locally owned and operated, and Faster to Any Size Disaster. SERVPRO recommends Chesterton homeowners to maintain fireplaces, flues, and chimneys before firing them up for the cold winter months. The damage that can be so easily avoided can be very prohibitive to repair. But, we are here for cleanup and restoration if need be. 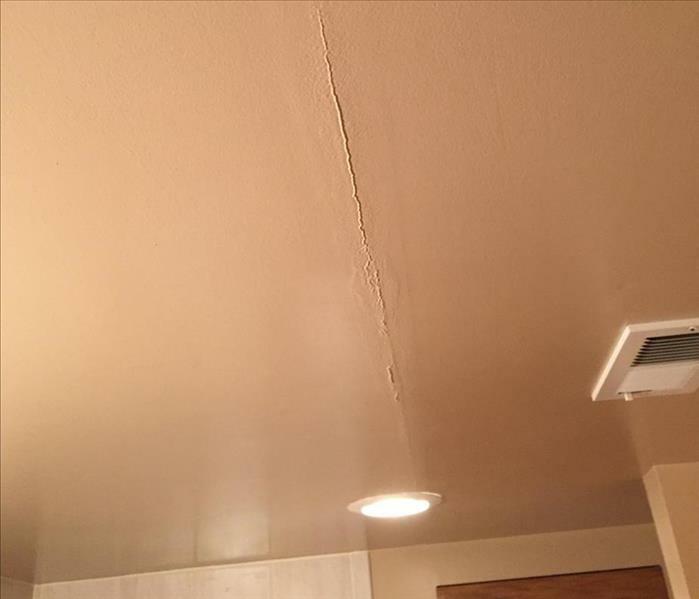 Water damage at this Valparaiso home was the result of ruptured water lines running through the ceiling. The photo shows the severe damage that is caused. 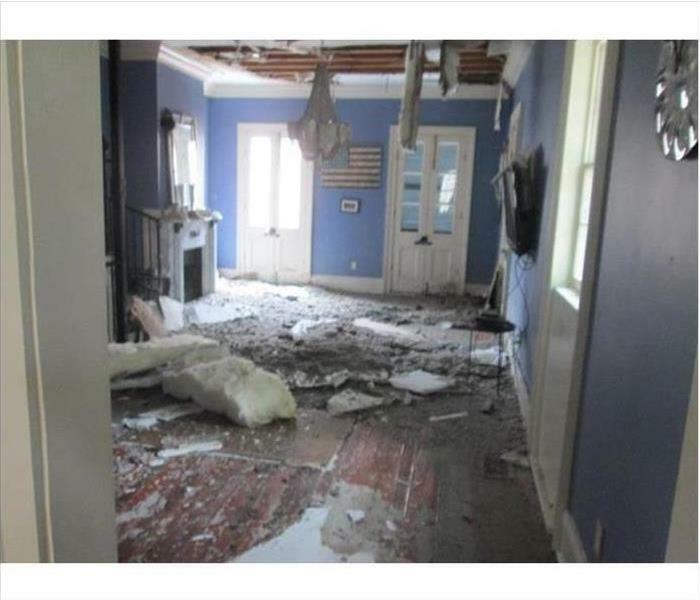 The saturated ceiling represents a hazardous condition to the residents of the home. 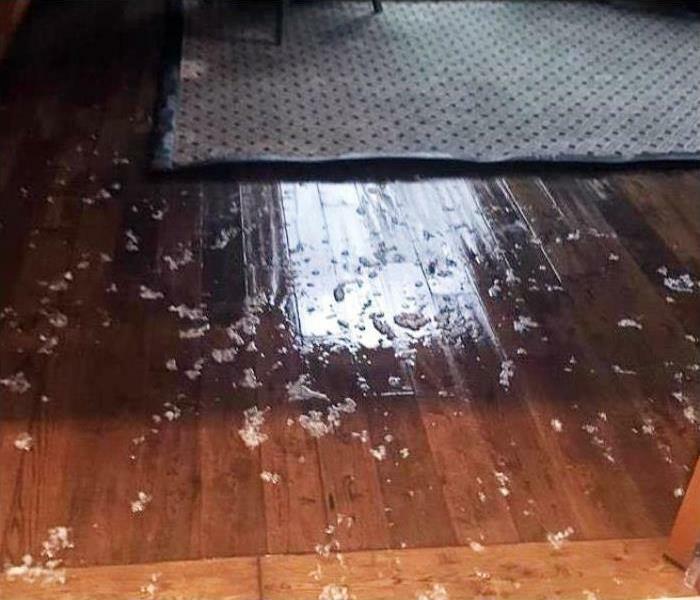 SERVPRO of Porter County can respond quickly to help alleviate the hazardous conditions and return the damaged area to preloss condition. If a fire sprinkler system inadvertently goes off, the walls and carpeting in a Valparaiso hotel get wet. Management realizes that time is money as far as revenue from guests staying or leaving and the physical damage that must be averted to the corridor and walls. Why SERVPRO? 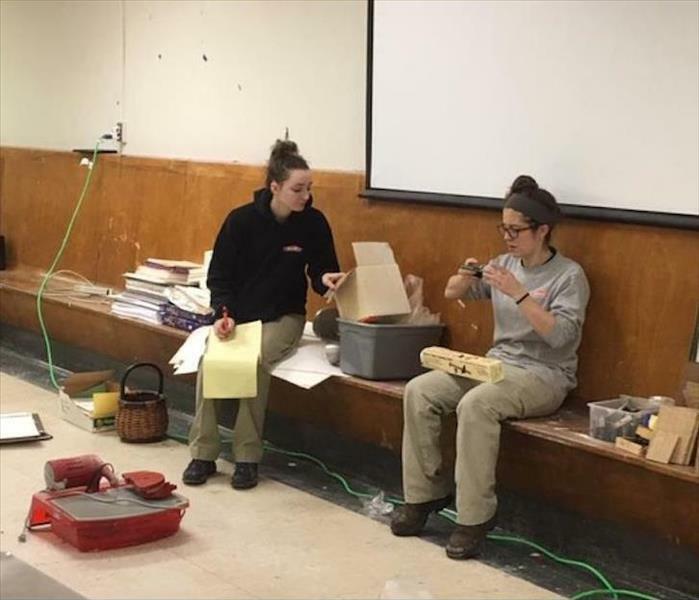 We're Faster To Any Size Disaster, our teams are trained and as shown in the photo, have the equipment, and in large quantities, to mitigate the water damage. 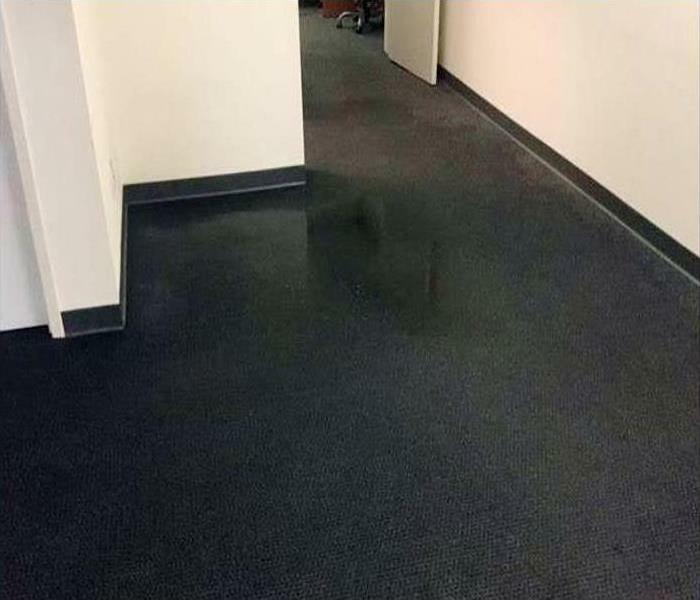 Discovering that your commercial property has suffered significant water damage can be a stressful situation. The team you can trust to get your business back up and running is SERVPRO. 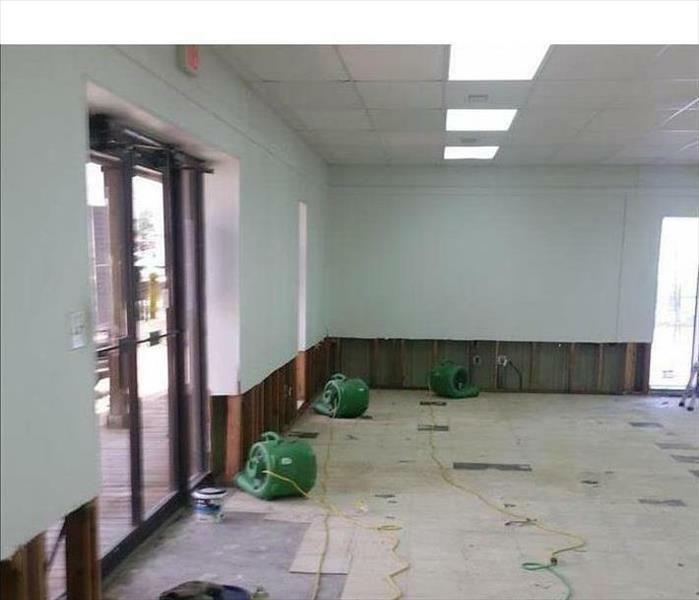 SERVPRO of Porter County has the advanced training, water damage experience, and specialized equipment to restore your commercial property to pre-damage condition. We’re Faster to Any Size Disaster! Rainwater that flows into a house in Portage can lead to significant storm damage. 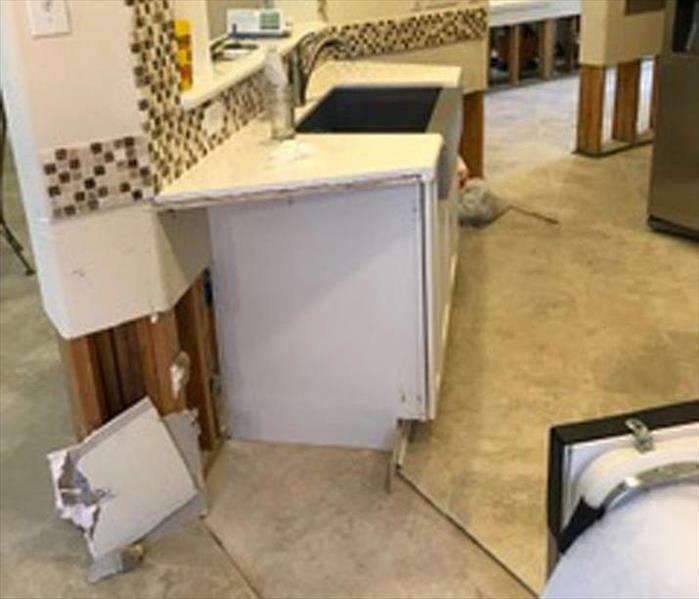 The contaminated water meant the drywall was removed with a "flood cut" to minimize the demolition and reconstruction needed to restore this home to its preloss condition. SERVPRO always aims to put our customers' feelings and needs first. 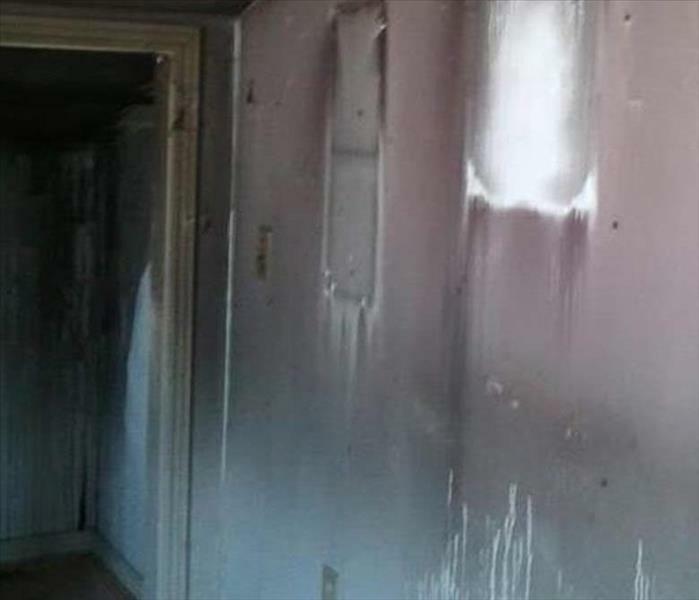 SERVPRO FST fire and smoke damage restoration technicians can arrive quickly on the scene soon after a devastating fire in Portage has been extinguished. After the okay from the Fire Marshall to entire, our crew can begin the cleanup process to mitigate damages and the smoke circulation. We're Faster To Any Size Disaster. 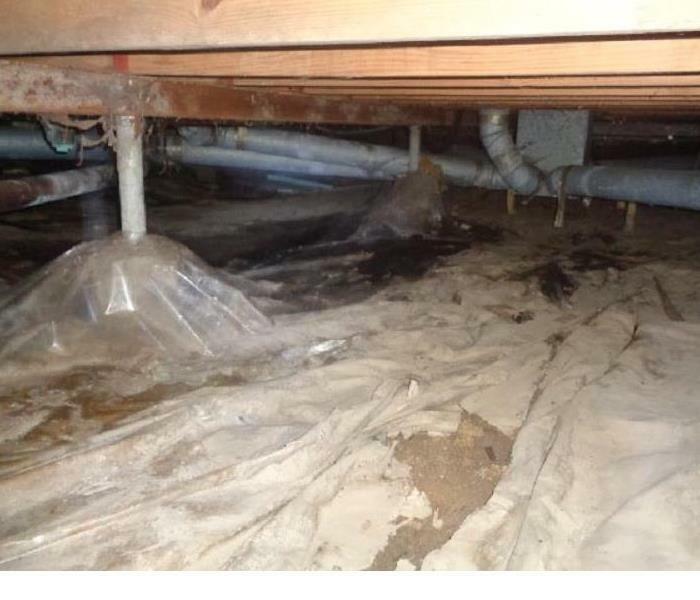 This crawlspace was affected by water in Chesterton,IN. SERVPRO of Porter county was called to dry it out and replace the plastic. Please call the office at 219-476-1883 with any questions about our services. Demo after a water damage, time to dry the structure. 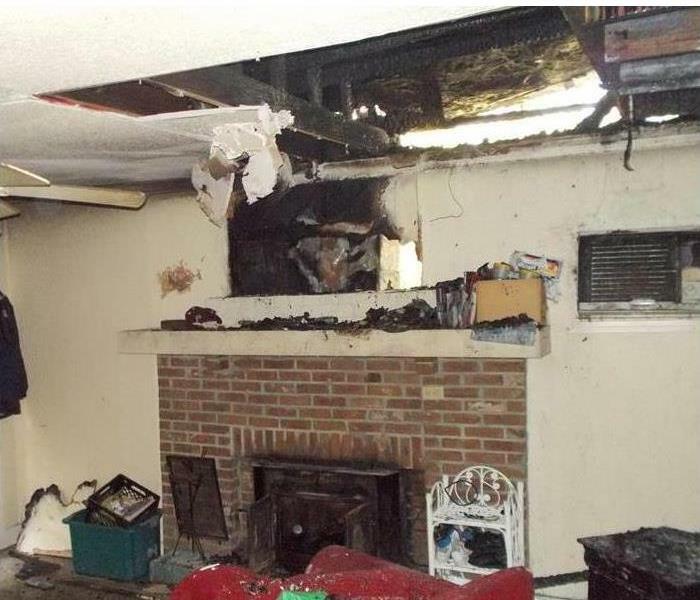 SERVPRO of Porter county will figure out if demo is needed as soon as we inspect your home. Drying should start right away. Penetrating and non penetrating moisture meters are used to determine the amount of moisture in your building materials. After this is determine the correct amount and kind of drying equipment will be placed in your home.